After three weeks of picks, I’m sitting 7-7-1 on my Blazing Five. I’d like to have done better obviously, but I can live with .500 early in the season while we’re still trying to sort through the 2018 data and trends. This week we start shift the focus/power of the projections to the 2018 trends a little more over our preseason estimates. With 2018 trends taking over we have some picks this week that I would not have foreseen but I’m rolling with The Computer because when it locked in a few weeks into last season it got white hot picking games. The Computer is so sure of this it’s scaring me. This game and the Giants game are two huge tests of how well The Computer is interpreting the data and trends of the 2018 season. If I were making the picks with my ‘feelings’, I would have gone Dallas on a bounce back and looking right past Detroit as ‘anything’, a lucky fired-up win over the Pats. The Computer has me re-thinking and curious what it sees in the Lions. With Sean Lee out, I have supreme confidence betting against Dallas in general. The Chargers’ big crime of 2018 is getting whacked by the Chiefs and Rams this season and manhandling the Bills. They will ‘work’ bad teams, and I think they have the perfect set-up here…49ers lost their soul with Jimmy G. and Richard Sherman at the same time. A good week to host the 49ers with their season essentially ended last week with JG going down. The 49ers have a bottom 10 defense and offense, maybe bottom 5 on both sides. The 49ers as ‘worst team in the NFL’ is on the table with the injuries they have. One of The Computer’s new favorite teams – the NY Giants. NYG is susceptible to opponents with a big pass rush…of which, the Saints don’t have one. The Saints may have the worst defense in the NFL now. If NYG gets Olivier Vernon and Eli Apple back, watch out. Eli Manning is 58-of-73 (79.4%) + 298.0 passing yards and 1.5 TDs/0.0 INTs per game the past two weeks against DAL and HOU, decent+ defenses. I’m so squeamish on this, but I’m going to trust The Computer here because it won’t shut up about it…that the Bengals win outright. I hope because then my preseason over/under win total (over 5.5, 6.0, and 6.5) bet is about gold in that case. Someone sees what we see…this line has dropped from -5+ to now -4.0. Here’s Buffalo’s season: Embarrassed by the Ravens opening day. Embarrassed/outplayed bad by the Chargers Week 2. Had the luckiest game in NFL history to blowout Minnesota last week. People remember last week and hesitate now. I’m not. If Minnesota was -16.5 hosting BUF last week, so should Aaron Rodgers be in that range. The 9.5 line dip is because of Buffalo’s improbably lucky Week 3. The Computer is not buying it. A gift. This was -10.0 to start the week. Yeah I am buying into Bakermania. I know you think Mayfield's ability is baked into this line and while the general public believes Mayfield is really good, I don't think they grasp how good. The same way everyone just watched Jared Goff on Thursday night and are now like "wow," that's the level of talent Mayfield has. Also, asking a serious question here, are we really sure that Hue Jackson is the worst coach in this game? A lot of my Week 4 picks have to do with fading Week 3. Last week was just a topsy turvy mess that you should not put too much stock into. The Jaguars wrecked the Patriots and Bortles looked like a real NFL QB. Then Bortles went full Bortles in a home loss to the Titans. I think Leonard Fournette returns this week and the Jaguars defense pounds the Jets into oblivion. This is similar to how I went with the Redskins over the Packers last week. The Giants are perceived to be a far inferior team to the Saints. How are the Saints only a field goal favorite? It's a trap. To quote Bart Scott, Saints can't stop a nosebleed. Giants win at home. Another "will this really happen?" narrative. Will the Texans really start 0-4? Andrew Luck has been relegated to the game manager everyone thought Jared Goff was. Except Luck doesn't have nearly the caliber of weapons. The Colts have actually had a pretty good defense thus far, but I like the Texans here to avoid an 0-4 start. Same as the Jaguars narrative. Packers were embarrassed at Washington last week while the Bills steamrolled the Vikings in Minnesota. Time to flip the script on both. The Bills will go back to being the Bills and Rodgers will make a statement with a 4 TD game. Packers in a blowout. MIA +7 - MIA is not a typical 3-0 team...it’s Patriots week for them and they know they need to slay this dragon. Not sure if they do or not but happy to find out getting 7 points. GB -10...I’m a little worried about GB’s defense here but at least they are at home. BUF off a huge ATS win and GB off a medium ATS loss. JAC -7.5...I think the Jaguars have to score 8 points for us to cover here. NYG +3.5...home dog with a better defense. And NO coming off an OT division battle. BAL +3...I’ll take the better defense getting points in a divisional slugfest. Broncos +4.5 (best bet) - The Chiefs aren't going to go 16-0 straight up or against the spread. Getting 4.5 points on the road is the best deal we've seen far in terms of betting against them, and you're getting those points with the best defense they've faced. I also think its worth noting that Denver is the first team to see Mahomes a 2nd time, even though their first matchup was a weird week 17 game. On the road in the altitude with a familiar opponent, we might see the side of Mahomes we haven't seen yet - the side that commits turnovers. Denver should also be able to feed the Freeman/Lindsay combo to keep the Chiefs offense off the field. This may all look pretty stupid when its 28-10 Chiefs at half, but I think its a good opportunity to bet against KC. Giants +3 - At home getting points against a potentially awful defense, it's all been covered in the chat. Bears -3 - Depending on what you think of the 2018 version of the Eagles, you could make the case that Fitzmagic has not really faced a good defense yet this year. 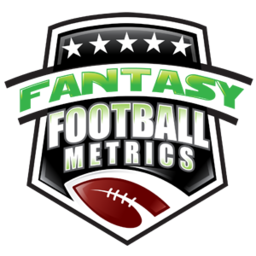 We saw the Steelers get some pressure last week, which showed us a glimpse of the Ryan Fitzpatrick we all remember from the 8 or 9 seasons he wasn't owned in your fantasy league. This is also probably the worst defense the Bears have played all year. If Nagy can at least script some nice plays to start, the Bears can get up early and let Mack do his thing. Colts -1 - I understand the "desperate 0-3 team" angle, but what have the Texans done to deserve this much respect from Vegas? Have the Colts not shown they're a better team, worth of a -3 or -3.5 line? Four weeks into the year I'd prefer the overachieving team against the team that keeps finding ways to lose. Cardinals +3 - I think Seattle will continue to be a team you want to bet at home, especially coming off a loss, and fade on the road, especially coming off a win. Arizona's defense has been solid and Josh Rosen can't possibly be worse than Sam Bradford. Not exactly a bold statement, but I think this will be a low scoring game and the Cards will cover if Rosen can get them over 17 points.